First off, this isn’t really a review, it’s more an overview of how I feel about the camera after using it since it arrived in November. 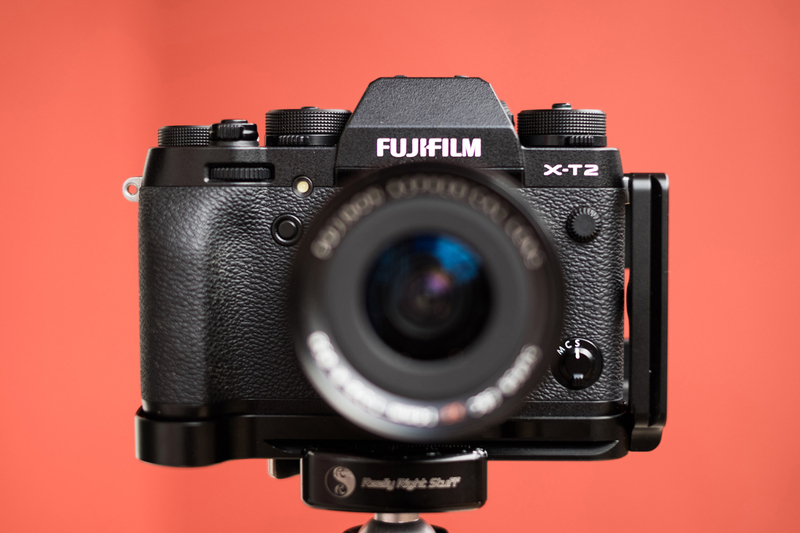 After about 5 months I feel I’ve got to know the camera pretty well, but like my blogs about the X-T1 and X-T10 when I first switched to Fuji this is in no way meant to be a technical review or a full look at every one of it’s features. 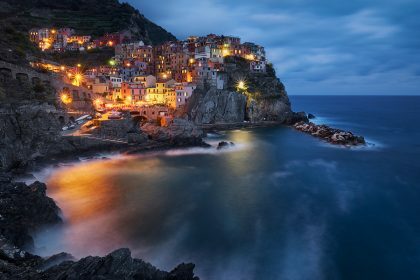 There are plenty of those already on the internet, DPreview has probably the best in depth technical review of the camera and all it’s features. Instead I’ll focus on the improvements over the X-T2 that I’ve found particularly useful for landscape and travel photography. A little background to start: It’s been about a year an a half since my switch from Nikon to Fuji, and over those 18 months I’ve been constantly impressed by pretty much everything about the Fuji X System and Fujifilms approach to their cameras and lenses. I’ve written extensively about why I switched and my experiences with the X-T1 and X-T10 as landscape and travel cameras, but it’s worth noting that even back then in the middle of 2015 when I first decided to change, I had one eye on the future and what I thought the X-T2 would be like. 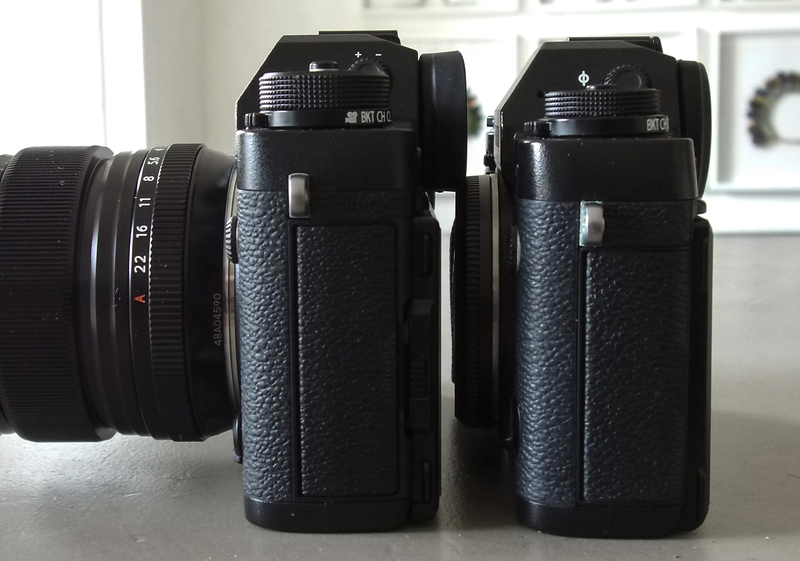 At the time the 16mp sensor that Fuji had been using since the X-Pro 1 and X100 was ready to be upgraded, but I didn’t really expect Fuji to put launch two flagships, the X-Pro 2 and the X-T2 quite so close together. It shows an incredible confidence in their products that they release the best product they can as soon as they can rather than try to drag out a product’s life cycle. 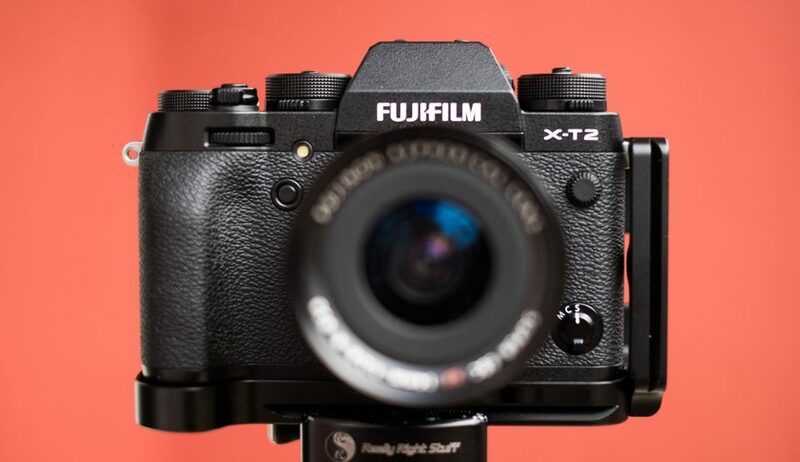 In the last month Fuji have continued this with the launch of the X-T20, with identical image and video quality to the X-T2 and X-Pro 2 as well as many of the same features. But I digress. I was at the launch of the X-Pro 2 so I already had a pretty good idea of the stellar image quality the X-T2 would have with the same sensor, but when the camera was announced I was really keen on seeing what feature improvements over the X-T1 Fuji had added. After using the X-T1 for a year there were a number of small improvements and refinements I was hoping Fuji would make to the camera to make it absolutely perfect for my needs, and at the launch announcement it looked like Fuji had pretty much nailed every one of the things on my wish list! So if you can’t be bothered reading through to the end, I’ll start off with the conclusion. The Fuji X-T2 is the best camera I’ve ever used since I took up photography! OK, that’s a pretty bold claim so let me clarify it a little. Does it have the best resolution? No, my old D800 had a higher pixel count, as well as higher dynamic range and faster autofocus, so why do I think the X-T2 is better? Well, because for me it’s simply a better all round camera. It might not have quite as high resolution as the D800, but its not far off, and in combination with Fuji’s brilliant range of glass it actually gives me images that are every bit as sharp and detailed as my old Nikon. The dynamic range also is pretty close, particularly in the Fuji’s ability to pull detail out of the shadows, which is incredible. While I may be losing a stop or two overall, there’s not been a single occasion when I’ve really felt “oh, if only I had a little more dynamic range here” as the only time I need that massive range is when I’m shooting landscapes on a tripod, and in that case I’ll always do multiple shots at different exposures anyway. The same goes for the autofocus, the difference is probably in the hundredths of a second… which isn’t remotely noticeable. So in the areas where the Nikon has technical better specifications I simply don’t notice the difference, but in the areas where the Fuji is better the differences for me are hugely significant. First of all the size and weight. I wrote about this back in the blogs I wrote when I first switched from Nikon, and the X-T2 has all the same benefits as the X-T1 which means I don’t feel the weight when I’m out hiking or when I’m lugging my camera gear onto and off of planes. I can fit the X-T2 along with 3 lenses in my Lowepro Inverse 100 waistpack, which I barely know is there when I’m out walking. For day hikes it fits easily into the bottom of my Lowepro Photosport 200 and there’s still room for my Mavic Pro drone and other stuff on the top compartment. For travelling I use an F Stop Small ICU inside my backpack and in that I can fit the X-T2 with two zooms or one zoom and two primes, the X-T1 as a back up body along with the drone, controller and spare batteries, cards and cable release. There’s just no way I could take that amount of gear with my old dSLR system, and no way I could carry it so light and small. This matters because it means I’m not faced with a decision about whether I can afford the extra weight of a spare body, whether I should take the camera gear or the drone gear, it doesn’t ever limit me when I’m out walking or travelling and doesn’t weigh me down when I know I’m going to be out spending the day street shooting. 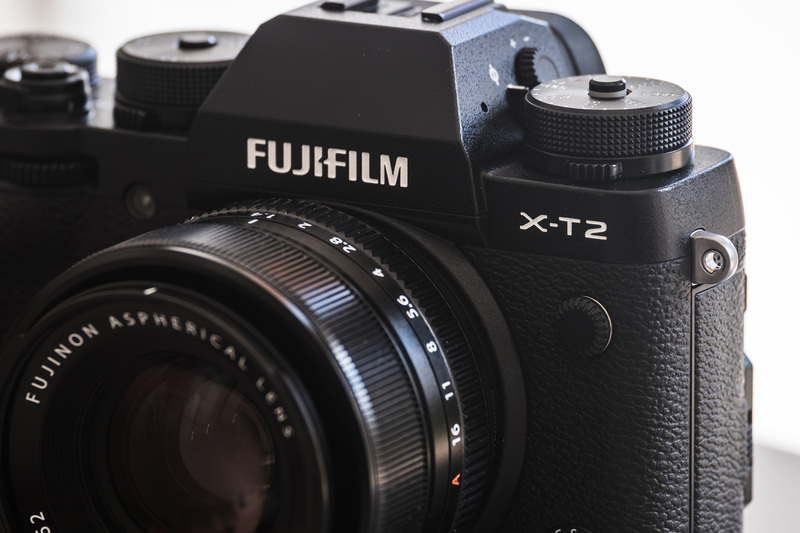 So yes, the small size and weight of the X-T2 make it a more practical and usable camera than a pro body dSLR for me, but there’s much more to the X-T2 than that. Lets start with the screen. 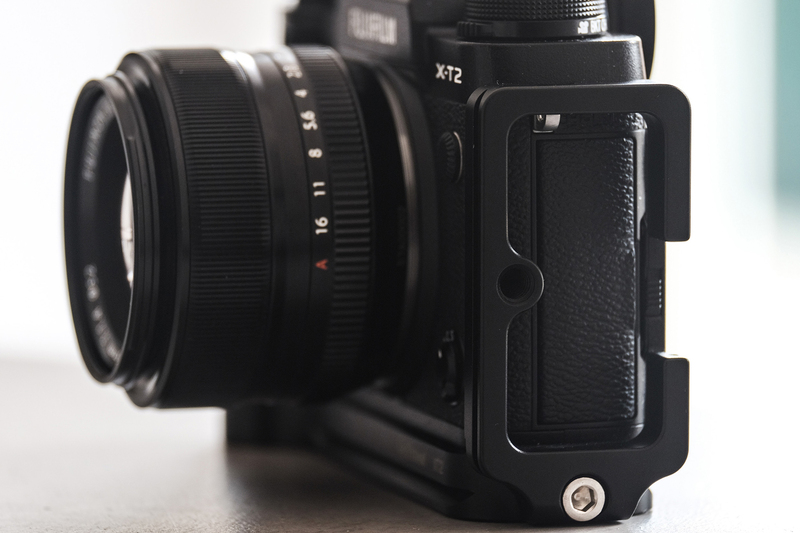 One of the things I loved about the X-T1 was the articulating screen. A lot of my landscape shots are done with the tripod very close to the ground in order to bring the foreground right into the image when shooting wide angle. The articulated screen saves me from having to get down on my hands and knees to compose the image and is particularly useful when shooting at the edge of water. However on the X-T1 it only articulated in one direction and wasn’t useable in when shooting in portrait mode. The X-T2 solves that though with a screen that articulates in three directions, including portrait. The 3 inch screen displays all the shooting information I need, including a live histogram, on a fantastic high definition screen (1.04 million dots) and is absolutely perfect for landscape shooting. For travel and street shooting I still prefer to use the viewfinder instead of the screen, and the EVF on the X-T2 improves slightly on the already incredible X-T1 EVF. It has a slightly faster refresh rate and there’s absolutely no lag whatsoever. You simply don’t realise that you’re looking at an EVF and the image is bigger and brighter than on any dSLR I ever used. 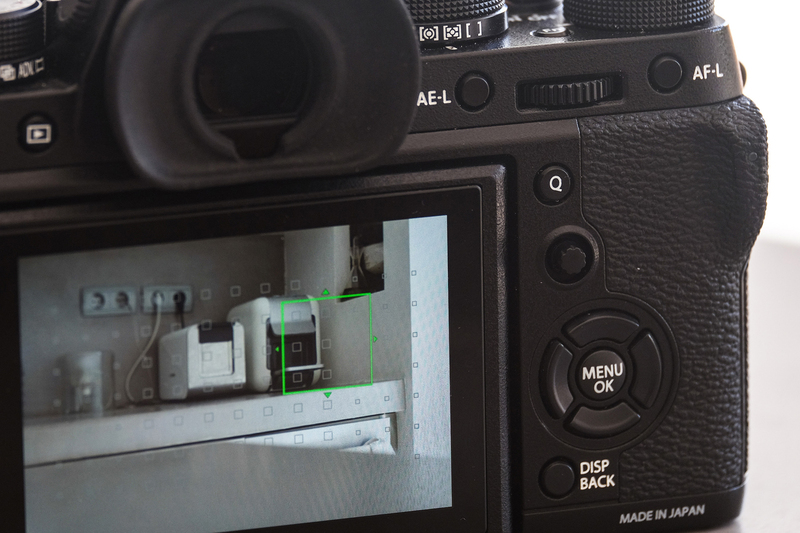 As it’s an EVF it has all the benefits of live view, meaning you see the exposure changing as you adjust the settings along with the live histogram, so you know pretty much exactly what you’re going to get before you hit the shutter button. I honestly don’t think I could go back to a camera without an EVF now, they’ve utterly revolutionised the way I shoot. 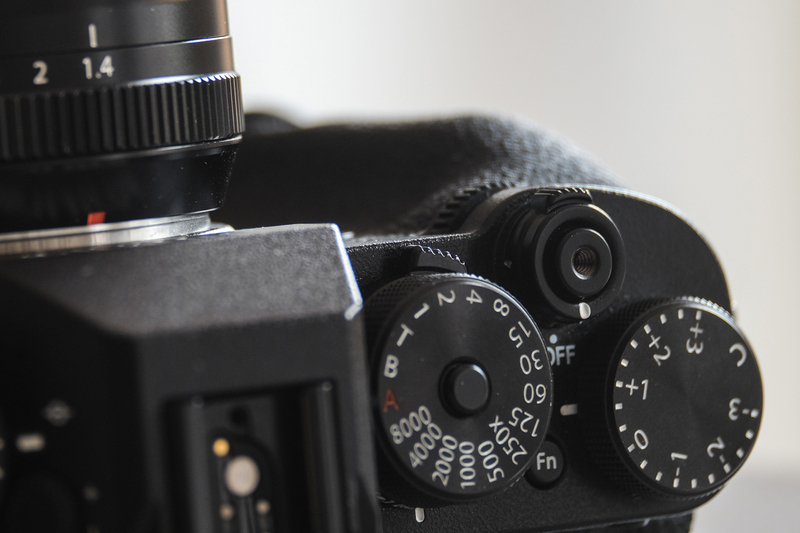 But perhaps the biggest improvement to shooting with the EVF is the focus selector joystick. On the X-T1 it was sometimes a little frustrating that I had to move the viewfinder away from my eye to better access the button which first brought up the focus point selector, and then use the D pad to select the point that I wanted. The joystick on the X-T2 is much more intuitive and can be used easily without taking your eye from the camera’s viewfinder. It takes a split second to move the focus point around the screen and select it with your thumb while holding the camera up to your face, and it’s incredibly useful when shooting fast on-the-go street or travel shots. Many of the improvements over the X-T1 are really subtle at first but when using the camera you soon realise how significant they are. First of all the catches on the doors are all more secure. 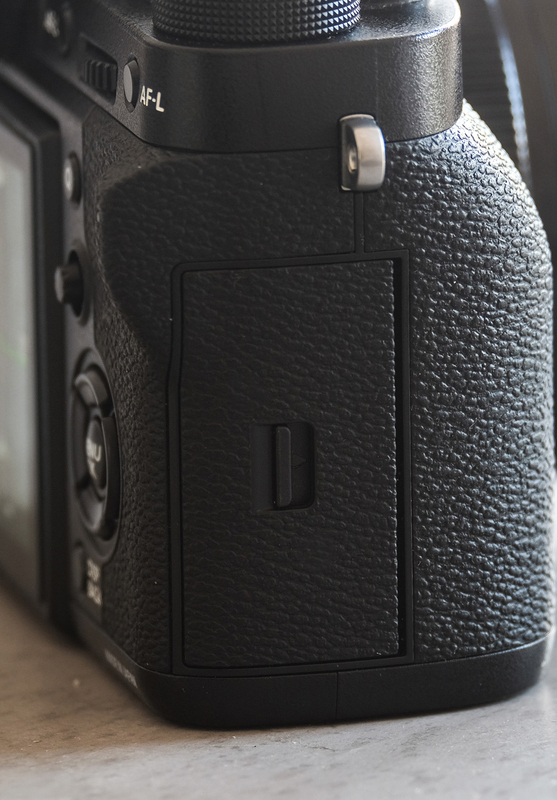 The battery door for example now locks closed automatically when it’s shut, whereas on the X-T1 you needed to slide the catch back into place. On a couple of occasions when I was in a hurry I didn’t close the catch properly and then the battery dropped straight out of the camera as soon as I turned it over. There is now a proper catch on the card case which keeps it secure and stops it opening accidentally. On the X-T1 when I pulled it out of my bag my finger would often pull back and open the card door, so again, this is a nice improvement. There are now lock buttons on the ISO and shutter speed dials, which are great, and all of the dials are a little bigger and deeper. It’s a small change but it makes each dial just that little bit easier to operate. If you look at the two lower pictures below you can see the X-T2 side by side with the X-T1. 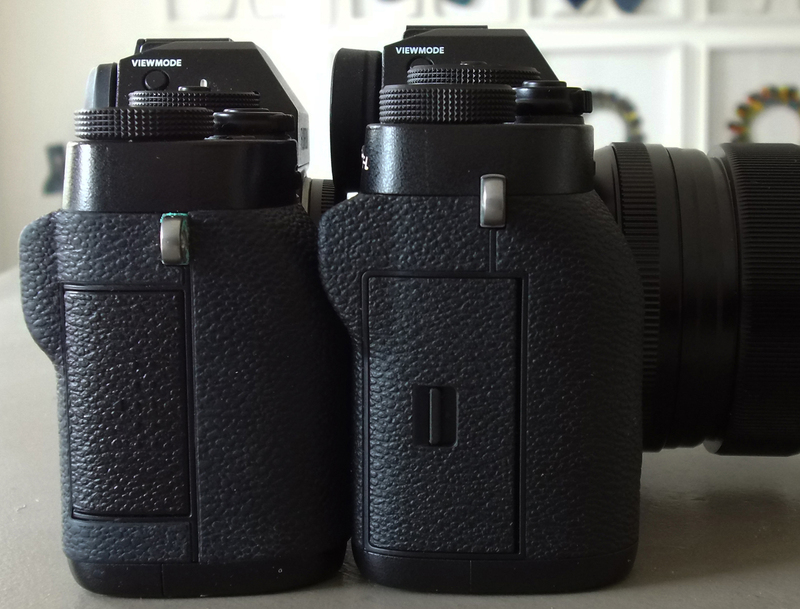 Note how the X-T1 is a little taller, and also the bigger dials. Video is also now incorporated into the camera better with the video mode being on the end of the mode dial beneath the ISO dial. 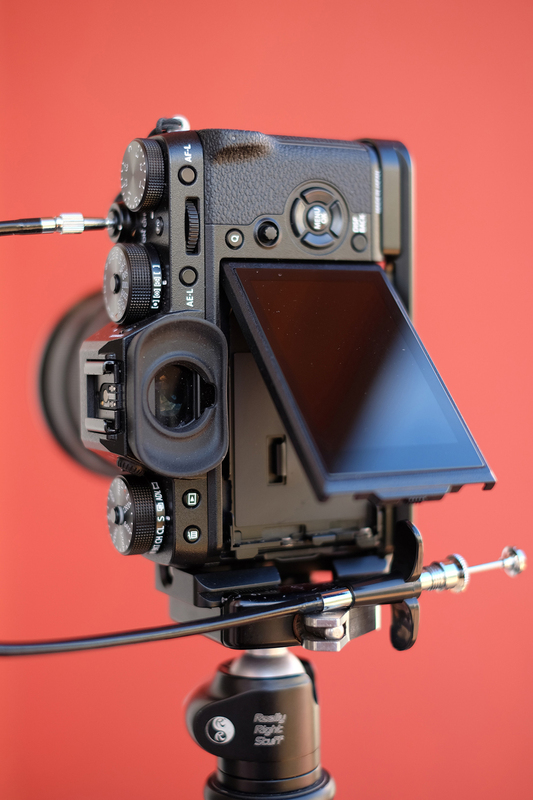 I find this really intuitive as I wasn’t fond of the small red video button on the X-T1, but then again I never used video on the X-T1 as the quality was so bad. This is certainly not the case on the X-T2 where the video quality is awesome, but I’ll get to that later in the review. 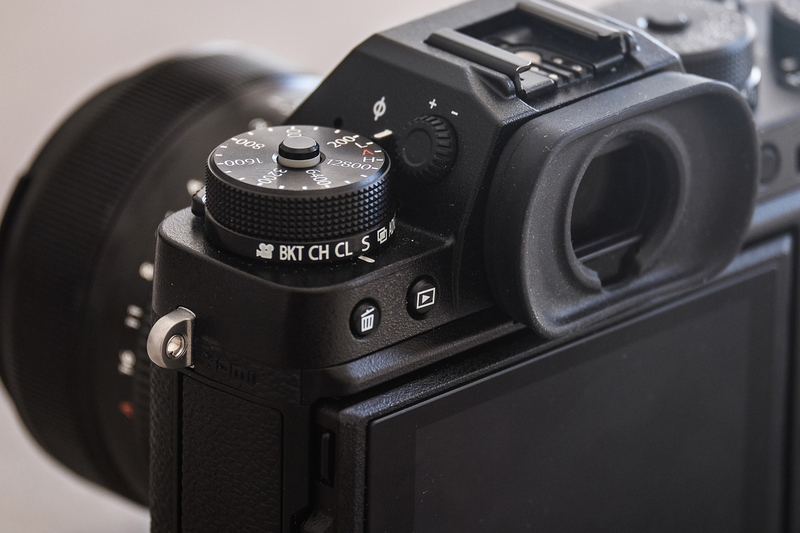 One final change to the controls is perhaps the least significant of all to most users, but it’s a testament to Fuji’s designers that they listened to feedback from their customers to incorporate something that most people will barely notice. I’m talking about the screw threads on the shutter button for a cable release. Why is this important? 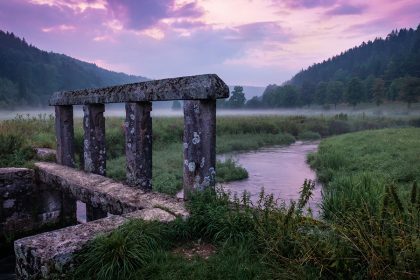 Well, if you shoot landscapes, you should certainly be using a cable release to ensure the camera doesn’t move when you operate the shutter. The X-T1 had a connector in the side door where the cable release connected but if you use an L-Bracket to connect your camera to the tripod then it’s impossible to open that door and connect the cable release when it’s attached to the tripod by the side of the L bracket to shoot in portrait. Now it’s certainly not a deal breaker, this just meant that when shooting in portrait the camera remained attached to the tripod head by the plate on the bottom and then the head had to be tilted 90º, but this makes the whole assembly less stable and more prone to movement, as well as harder to level and shoot panoramas with. It’s the reason why L brackets were invented in the first place. On the X-T2 with the screw thread in the shutter button I can now attach an old fashioned cable release directly into the shutter and don’t need to open the side door anymore, which means I can use the side of the L bracket to shoot in portrait (see the image above with the articulating screen). It also means I don’t have to shoot with the side door open, thereby diminishing the cameras weather sealing, when photographing on the edge of the ocean. A tiny thing, but it makes me happy! 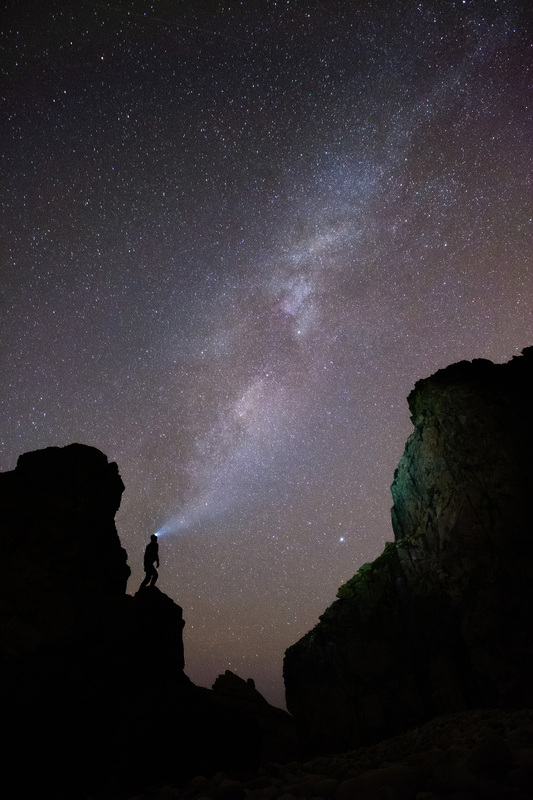 Another change which was barely advertised at all, indeed I had to dig deep into the pre-release promotional materials to find out that it existed, is that exposure bracketing has been expanded from 3 stops on the X-T1 to 5 stops. This means I can shoot an base exposure, one exposure two stops below that and one exposure 2 stops above. 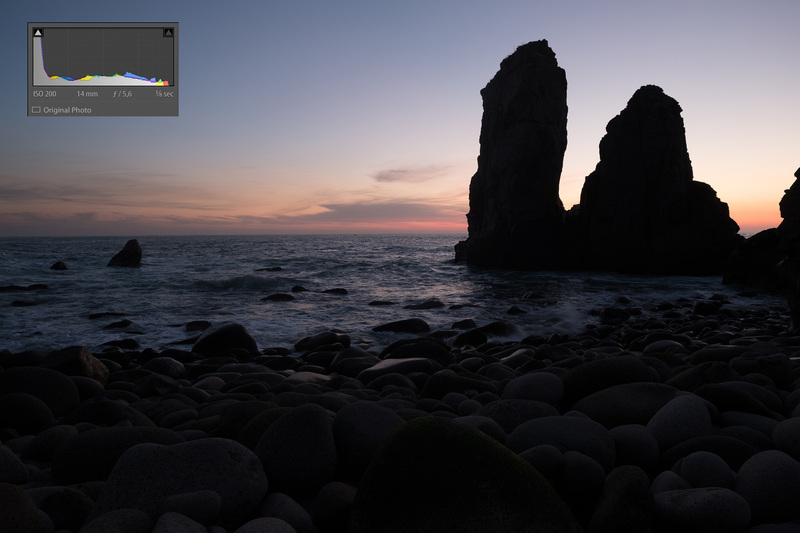 For shooting landscapes with a really wide dynamic range this is really significant and saves me from having to manually bracket (ie, change the exposure myself) to ensure the whole dynamic range of a scene is recorded. The inclusion of dual cards is a massive plus, and it’s implemented really well on the X-T2. You can use the second card in three different ways. It can used as an overflow card where, when the first card is filled the camera switches to the second card, it can be used as a duplicate card where the second card mirrors the first, or finally, and the way I use it, one card can be dedicated to RAW and the other JPEGs. In this mode you can also choose which card the video gets recorded to, so I have one card for all the RAW files and one card for all the JPEG and video footage which I find saves me a lot of time when importing. One final difference worth noting is the battery. The X-T2 uses the new NP-W126S batteries,as opposed to the NP-W126 batteries in the older X series cameras. Apparently the newer batteries have more power because of the increased demand on the X-T2’s processor from the larger files, although the old X-T1 batteries still work fine with the new camera. I haven’t done any serious experiments yet so I can’t state what the differences are. Of course there are many other difference, the exposure compensation is expanded to 5 stops plus and minus, the AF points have increased to 91, the ISO sensitivity is expanded up to 12800, there’s a new film simulation mode (ACROS) and a grain effect and a standard 3.5mm microphone socket has been added, which is great for external microphones. Finally, the whole camera is slightly bigger (a couple of millimetres in each direction) and a bit heavier (507g as opposed to the 440g of the X-T1), but the increase isn’t really noticeable in at all. But what about the image quality? How big an improvement is it over the X-T1? OK again, as I said at the beginning this isn’t a technical review so I’ve got no sharpness charts or graphs here. I’m only interested in IQ as it reflects on the images I produce in the field. With the X-T1 I compared the images with the Nikon D800 and found that while the D800 obviously has better resolution, when comparing shooting with the Nikon system camera and lenses I was using with the Fuji system, the Fuji actually had an edge in overall sharpness. As I said at the time it was a very unscientific comparison, but in terms of how I shoot in the field it was relevant to me and was enough when combined with the size and weight advantages of the Fuji system to make me ditch me Nikon gear completely. The X-T2 has superb image quality! There’s the jump in resolution which in real terms increases the image size to 6000 pixels along the longest edge from 4896, and 4000 on the shorter edge from 3264. 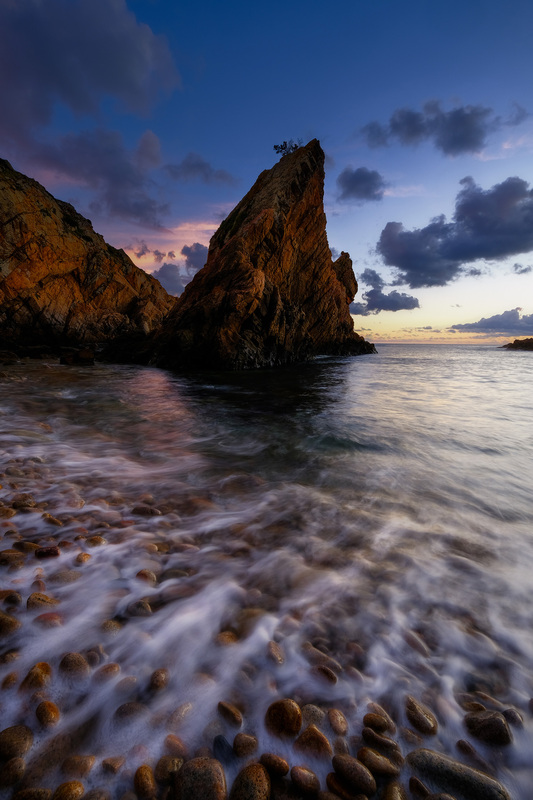 The biggest advantage here is the ability to crop an image more and it still be big enough to make a decent print. The tonal rendition and lack of noise also seem to be significantly improved, along with the camera resolving more detail. 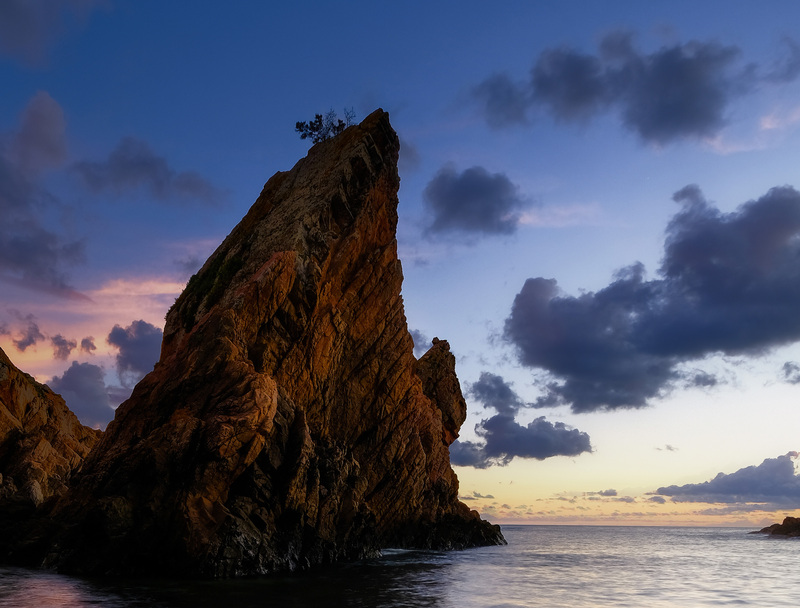 The first day I had the camera I took it shooting on the coast and, probably because the camera felt so familiar to me after so much time with the X-T1, I’d neglected to spend time setting it up and setting the camera to shoot RAW. So I came back from the shoot and realised that I’d only shot JPEG, which I would never normally spend any time processing as there’s so little latitude in the compressed files. However, because it was all I had I edited them in Photoshop and was amazed at how good the files were. There’s not a speck of noise in the sky, and after experimenting more with the camera I can safely say that these are the cleanest files I’ve ever seen when it comes to noise. 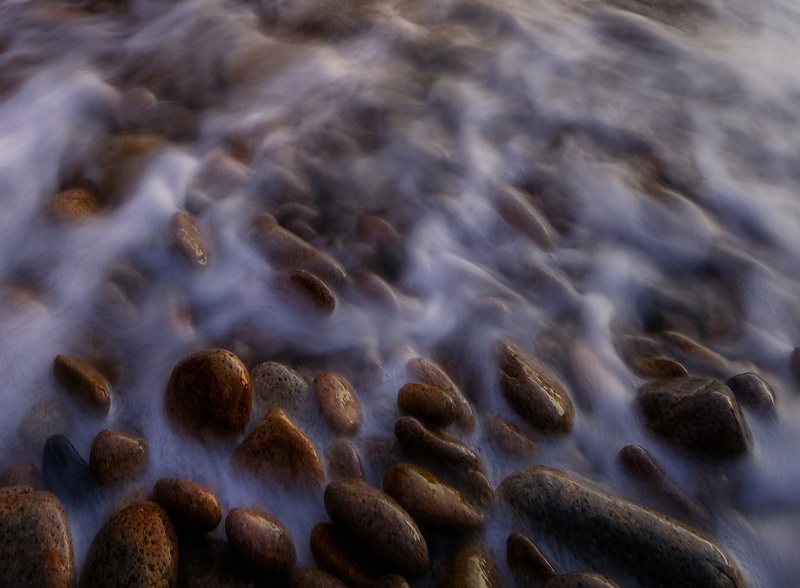 Also the amount of detail that the camera was resolving in the rock and the foreground stones was incredible, so much so that I’m confident I could print this JPG file up to a meter wide with no issues whatsoever. I’ve also been incredibly impressed with the tonal rendition, particularly in the highlights. 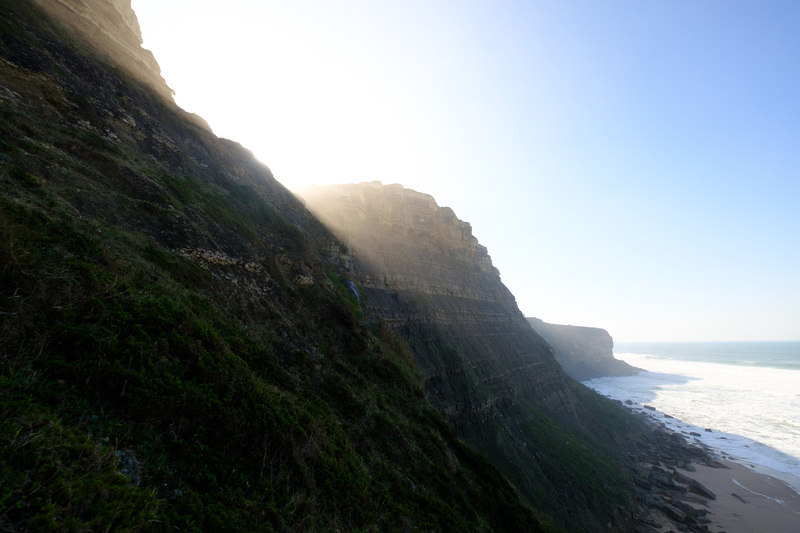 Below is an image I shot RAW facing straight into the midday winter sun. The scene is incredibly high contrast, but the camera recorded lots of detail in the shadows, but also gave a very smooth, pleasing tonal transition from the blown highlights to the blue of the sky. The sensor really does produce a wider dynamic range and I’ve noticed in the time that I’ve been using it that I use filters less and less. There’s a huge amount of information in the shadows that can be pulled out. Below is a shot I took when I was exposing for the sky to ensure I recorded all the highlight detail. 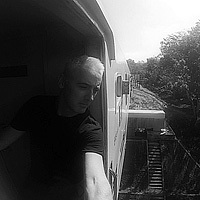 As you can see from the histogram, the shadows are blocked up and there’s a lots of detail not recorded. However, I slid the shadow slider in Lightroom all the way to the right and the detail is all there and possible to be pulled back. Looking at the stones in the foreground there is very little noise and loss of contrast, and in the rock stacks there’s plenty of detail, andalthough there’s a tiny bit of noise for the most part it’s barely noticeable. The high ISO performance is also very good. Generally, my needs for high ISO are mostly for shooting stars and it’s very rare that I’ll need to go above ISO3600. 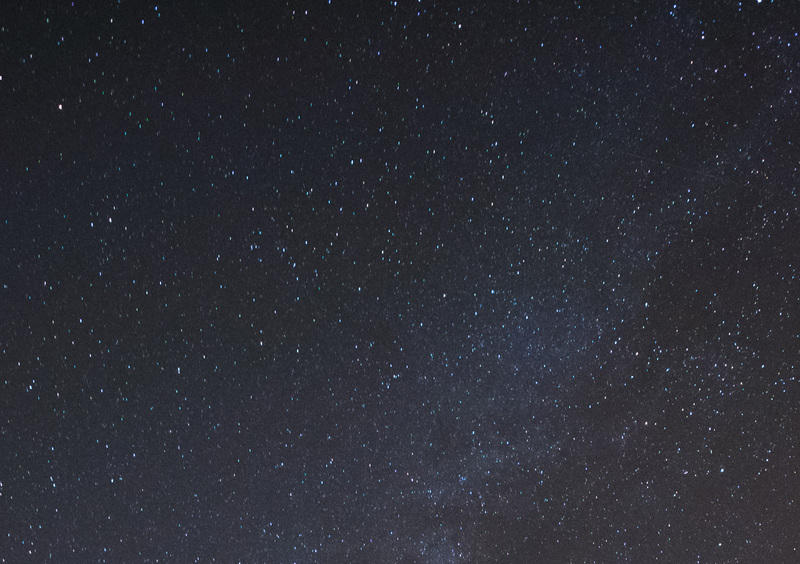 Below is a RAW image taken of the stars at ISO2500 along with a 100% crop from the corner. The noise is pretty minimal and certainly gives me enough latitude for processing. The final image is certainly of a high enough quality to print. One last change to the X-T2’s image capability is the addition of a new film simulation, ACROS. 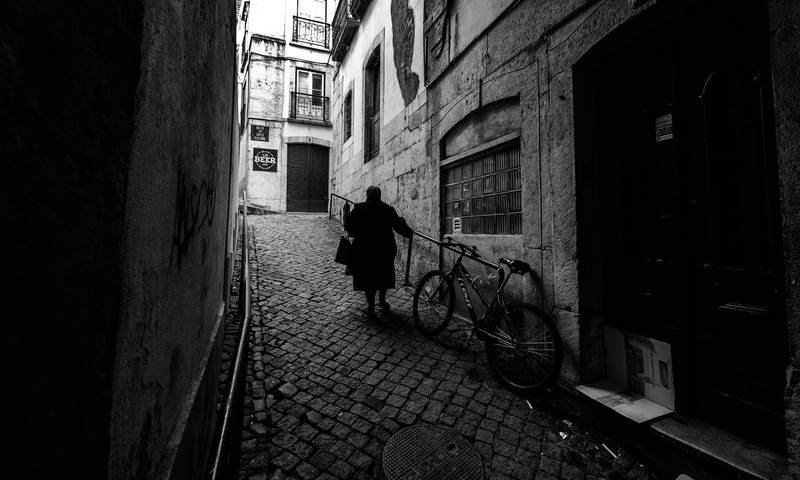 It’s a contrasty black and white simulation that works great for street photography. 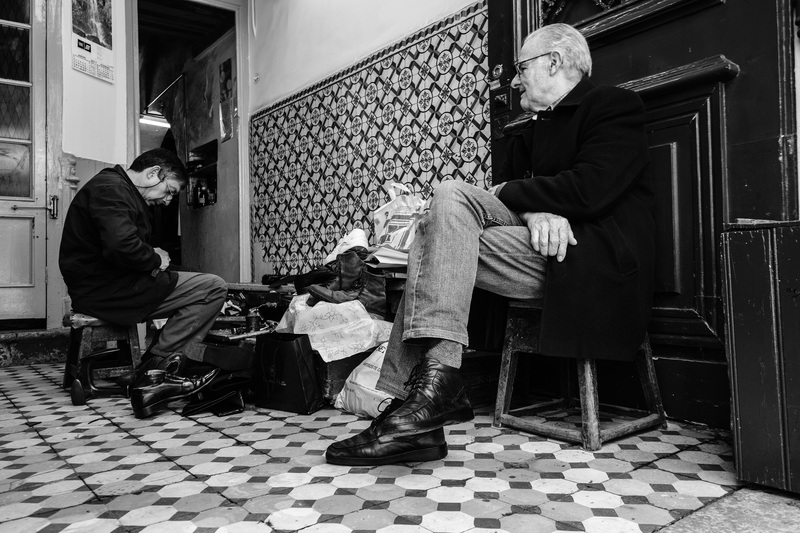 I recently spent a day wandering around Lisbon for a film about street photography in the city and shot almost exclusively in ACROS. I really like the high contrast look and barely need to do anything to the images in post processing, the JPGs are great straight out of the camera. Finally, video. The X-T1 really was awful at video, there’s no disguising it. 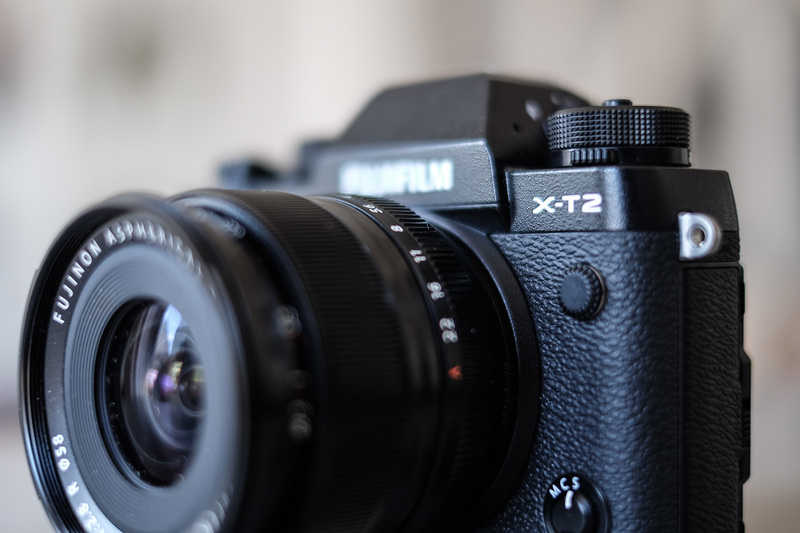 It was pretty much unusable and I wasn’t really expecting anything special with the X-T2 as Fuji have claimed that they see the X series as aimed at photographers rather than videographers. However, the X-T2 is actually a brilliant video camera! It records 4K at 30fps and the quality is superb! The details are crisp, the nasty moiré effect that plagues the X-T1 video has completely gone and the footage is beautiful and smooth, and with the ability to incorporate the film simulations the X-T2 is now a very capable film camera. The controls are also a lot better integrated with film mode being activated on the mode dial (beneath the ISO dial) and then record being activated by the shutter button. If you’ve been reading my blogs you’ll know that since the beginning of the year I’ve been learning more and more about videography, from capture to processing, and I’ve been using the X-T2 a lot along with an external microphone. I’m really happy with it, and this year I’ll be taking it with me to Tuscany, Iceland and the Dolomites with the intention of creating some cool footage. Below is a sample of clips from the X-T2. As most of the clips were 1080HD rather than 4K I used a 1080HD timeline. Back in 2015 when I first switched to Fuji and wrote about it in this blog I was blown away by the X system and in particular the X-T1. Straight after switching I took two Fuji cameras with me around Indonesia for a month and within weeks of getting back I sold all my Nikon gear. Since then it’s no exaggeration to say that my passion for photography has been completely reignited, there is a soul about Fuji cameras that just makes them such a pleasure to use and encourages you to go out and take pictures with them. The X-T2 feels like the pinnacle of that as it keeps everything I love about the X system with the wonderful intuitive feel of the camera and fantastic size and weight, and then refines it in every single way with brilliant image quality, great features like the three-way articulating screen and dual card slots, great video and even more better controls. It is quite simply, the perfect tool for the kind of photography that I love doing, and to go back to what I said back at the top of this review, the best camera I’ve used since I took up photography.